Tour through some of the most beautiful landscapes in Fjord Norway or enjoy a historical stroll through the medieval wooden buildings in Bergen. 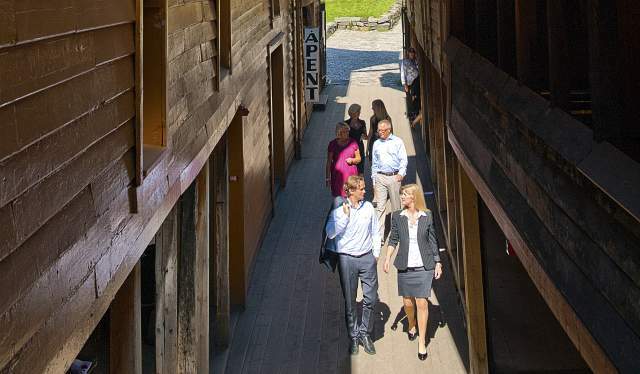 A one-day group incentive with a visit to magic white caves and a farm by the Nærøyfjord, a ride on the Flåm Railway and even a tour in a helicopter. The group is picked up from the hotel by private coach for a drive along fjords, lakes and mountains to Gudvangen and the first stop of the day at the unforgettable white caves by the Nærøyfjord. You will venture deep into the caves on a memorable tour characterised by shifting moods and lights, colours, music, silence and darkness. After the caves, the coach takes the group down to the fjord and a privately chartered fjord sightseeing boat for a 30-minute cruise to the small farm Styvi. A large BBQ buffet lunch based on local ingredients will be served by the fjord against the backdrop of dramatic mountains and green hills. A guided tour of the farm will also be offered, giving the visitors an interesting insight into the heritage and history of fjord farming. Find out how people made a living inside these deep fjords and high mountains with the sea as the only way out. After lunch, the tour continues with a cruise on the Nærøyfjord, which is one of the narrowest fjords in the world. You will pass beautiful waterfalls as the fjord winds its way to the village of Flåm, where you will take the famous Flåm Railway up the steep mountainside. 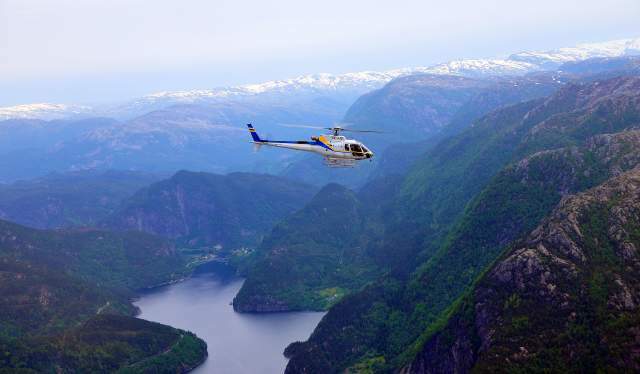 At Voss, helicopters are waiting to take your group for 30 minutes of breathtaking flight sightseeing. This is no doubt the most exiting way to experience the Norwegian nature –mountains, fjords, glaciers and fertile valleys. Most of the incentive programmes the Bergen Convention Bureau puts together for their clients are tailor-made, so do not hesitate to get in touch with them so they can help you plan your event. Explore the history and traditions of the charming city of Bergen and enjoy a full day fjord excursion with our two-day incentive suggestion. 09.00–11.00: Visit Mount Fløyen, seven minutes from the city centre. Take the funicular Fløibanen to the top of Mount Fløyen where you get a wonderful view of the city. On top of Mount Fløien there are many trails into the mountain area or down to the city centre. 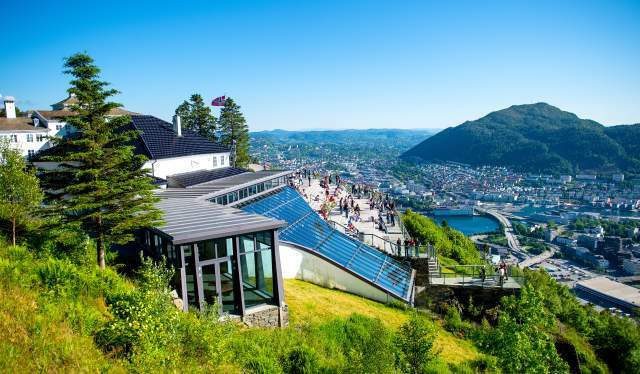 After your visit to Mount Fløien you can take the funicular or enjoy a leisurely stroll back down. 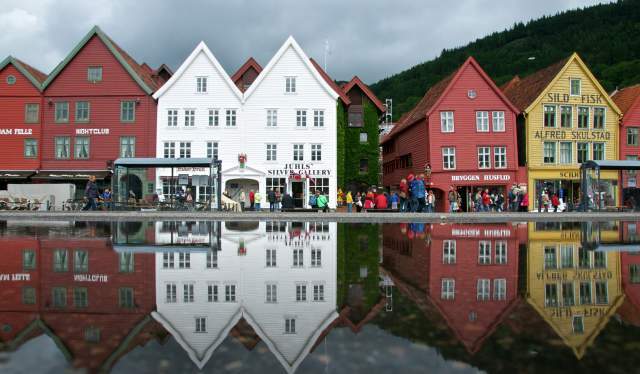 Join a guided walk among the old wooden buildings at Bryggen to the Hanseatic Museum. Guiding in other languages is available at different times. Starting point and tickets: Bryggen Museum. 11.30–14.00: Excursion to Troldhaugen, the home of the composer Edvard Grieg, including a concert. Available every day from 1 June to 14 September. Price example (may be subject to change and also depends on season and availability): NOK 250. Back in the city centre, take a tour of Bergen’s best art collections that fill four buildings in the centre of the city and experience masterpieces by Edvard Munch and other world-renowned artists. Price example (may be subject to change and also depends on season and availability): NOK 100 (four buildings – one ticket). 20.00: Dinner at one of the city’s many restaurants. 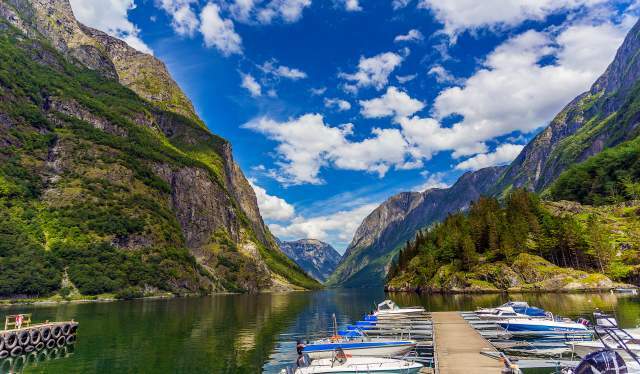 The Norway in a nutshell® trip takes you through some of Norway's most beautiful fjord scenery in one and the same day and includes the Nærøyfjord and the Aurlandsfjord as well as a spectacular trip on the Flåm Railway. Price example (may be subject to change and also depends on season and availability): from NOK 1,440. The trip is available every day all year and takes around 8,5 hours. Bryggen, the old wharf of Bergen.